“The Agency has received a number of requests for the type certification of vertical take-off and landing (VTOL) aircraft, which differ from conventional rotorcraft or fixed-wing aircraft. “In the absence of certification specifications for the type certification of this type of product, a complete set of dedicated technical specifications in the form of a special condition for VTOL aircraft has been developed. So forming the technical specifications for VTOL aircraft is essential. Ensuring that there are robust and effective safety standards, environmental standards and manufacturing standards is key. Above all, safety is the paramount concern. Although there are current standards existing, EASA has made the decision that under the revised basic regulation (valid from September this year) more stringent standards are necessary. This is a crucial area because it touches on one of the most important areas of innovation in the aerospace sector: specifically autonomous / piloted, electric / hybrid vertical or short take-off and landing aircraft for use in the urban and environment. ADS covers this work through our Urban Air Mobility Group, recently established. Urban Air Vehicles will be, almost by definition, vertical take-off and landing – as there simply isn’t space for any other mode of vehicle to operate in urban environments. Although the UK is leaving the European Union, it is still crucial that UK industry interacts with the work that EASA does. 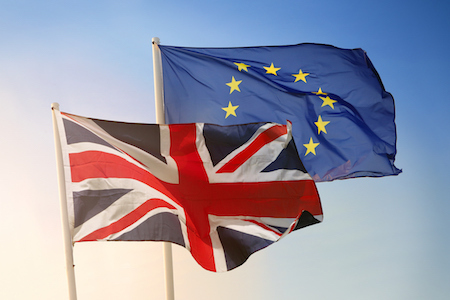 For one thing, it is one of ADS’ Brexit goals for the UK to continue to remain a key member of EASA even after the UK’s departure from the EU. This is also one of the goals of the UK Government, as the Prime Minister made clear in her March Mansion House Speech, which indicated that the UK wishes to remain part of EASA under the provisions available in the basic regulation for third countries to participate in the agency. Deadline for submissions is Thursday 15 November, and ADS will be submitting a view on behalf of our members.